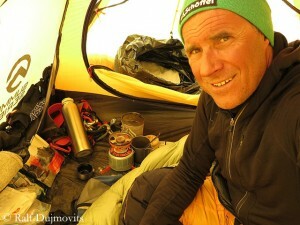 Dominik, soon you will be on your way to Mount Everest. Is this still something special for you? Actually, each eight-thousander is special to me. But on the one hand Everest is simply the highest mountain. On the other hand it challenges me as an operator because there is a lot to organize, more than on other mountains. 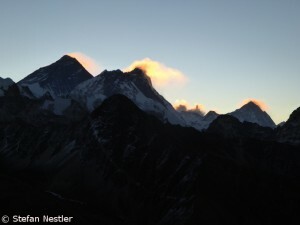 There was a lot of discussion about Everest after last year’s events on the Nepalese south side. Did you find any change in the client behavior? No, concerning the level of demand. But I have to point out that we don’t offer expeditions on the south side, just because of the dangers of the route. We only offer the Tibetan north side. But it can be confirmed that more climbers tend to go the north side, because more operators are present there. I think it all depends on who is offering what where? The client follows the operator. Have the Chinese driven up the prices? 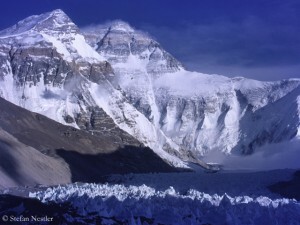 The Chinese have been doing it in the recent years – not only on Everest, but also on the other eight-, seven- and six-thousanders in Tibet. They just try to get the maximum. This time, you have a rather unusual expedition group. 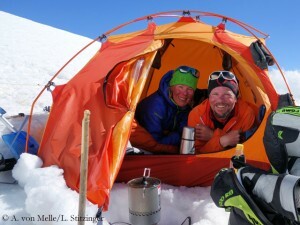 There are not only clients, as they are usually found on commercial expeditions. The professional climbers Ralf Dujmovits, Alix von Melle and Luis Stitzinger bought themselves into your expedition. Does that make it special? Of course. On the one hand, the professionals want to be free in their actions on the mountain. On the other hand the clients want to be attended in the best possible way. That may create some little tension. On the other hand, the average clients, of course, benefit from these experienced climbers. You won’t find so much concentrated competence at base camp in the near future. Does this enable you to restrain a bit concerning your responsibility? No, I am fully challenged. I want to attend the clients as well as the professionals in the best way possible, doing all the organizing, even those little things that have to be done on-site. But this time, you will be also allowed to think a bit of yourself, won’t you? 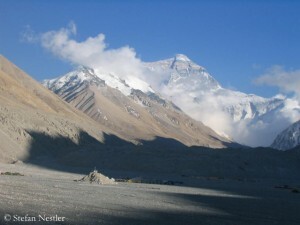 My goal is to try Everest without bottled oxygen. We have a very good support team for our clients that will attend them in an optimum way. Thus I think I should have some freedom to do my thing. Will it be your first attempt on Everest? Yes. When I do find the time, I’ll climb together with Alix von Melle and Luis Stitzinger. It’s important that we are on the mountain not in a large group but in small teams. Then everyone can acclimatize individually and choose his own speed, depending on how he is doing. This is one of the keys to success on this mountain. Apropos large groups. There will be many of these on Everest. Do you have a plan how to avoid the crowds on the route, a special trick? There can’t be any special trick, because you’re always depending on the weather conditions. But you may climb in a slightly counter-cyclical way by starting a little earlier or later when the good weather window opens. An advantage of the northern route is that there are not so many traffic jams, because you can overtake better. There are fewer bottlenecks than on the south side. Let’s look into the future. 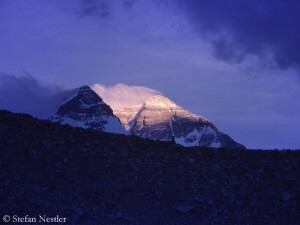 If you want to play the prophet, what is going to happen on Everest in the next few years? Hard to say. 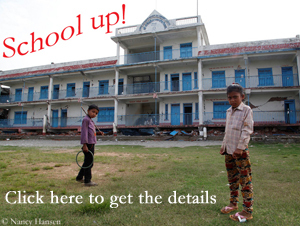 In Nepal, quite a lot is changing. 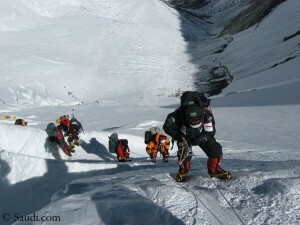 The Climbing Sherpas exert massive pressure on the government. I welcome that. We are only guests in a foreign country, these people need to be properly insured. Regarding the route, we’ll have to wait and see what happens next. It is discussed whether using ladders or even whether to set up two tracks, one for the ascent, one for the descent. There are many ideas but still nothing concrete. Some operators want to transport material to Camp 1 or 2 by helicopter. What do you think about this? This is ambiguous. On the one hand you trust in the work of the Climbing Sherpas, on the other hand you cut their possibility to do their job. Finally, they also live on the material transports. For me, an ascent is only a true ascent, when we manage it without technical help from outside, means also without helicopters. Whether “by fair means” or with bottled oxygen, you should walk up and down the mountain by foot. Are there still people who previously climbed only one or two mountains and want to scale Everest next? We get such requests. But then it is the duty of us organizers to tell them: Listen, you’re not ready! Finally, it is also about people’s life. You don’t have to do everything for money, it’s also our job to advice the clients honestly. But the operators have not been pursuing a uniform line so far. That is precisely the problem. The client should carefully consider with whom he goes on expedition. 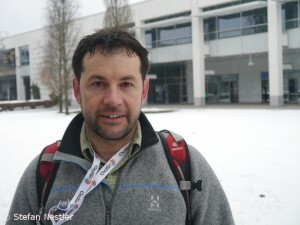 He should consider how much experience an operator has on high mountains and how serious he advises.